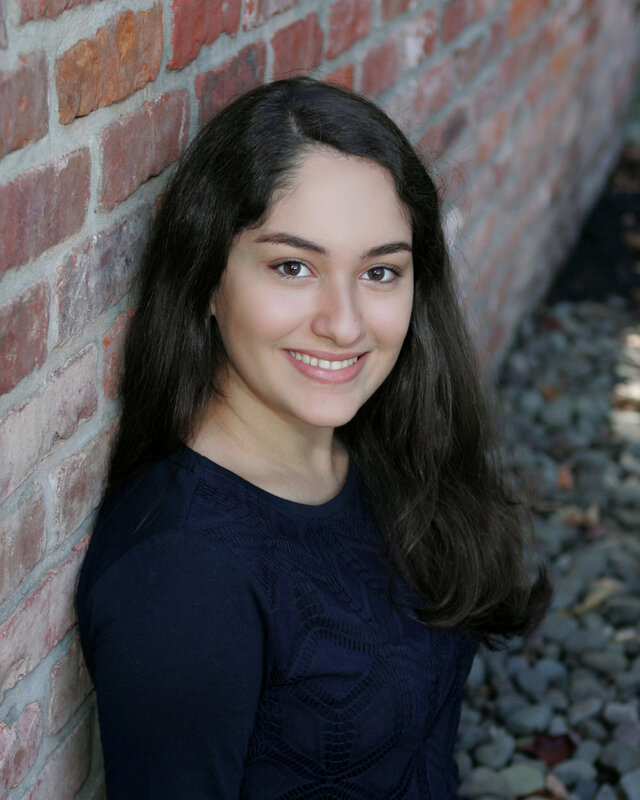 Yassi Khorsandian is a freshman pursuing a Biomedical Engineering degree at Tufts University. She worked with the Myocardial Regeneration Lab at Worcester Polytechnic Institute to study stem cell regeneration of heart tissue. 1. How did you get involved with research at the Myocardial Regeneration Lab? What got you interested in researching cardiology? I have always been fascinated by the heart and the way it fuels our bodies as the source of life, so when it was time for me to pick a science fair project to work on back in high school, I decided to pick a topic pertaining to the field of cardiology. I talked to a number of researchers working in this field, and I was introduced to Professor Gaudette’s research at the Myocardial Regeneration lab by one of his colleagues. I was instantly captivated. I knew at that moment that I simply had to find out more about the ongoing projects in this lab and get involved in them. Eventually, I ended up working on a number of projects at the Myocardial Regeneration Lab over the course of the next two years. 2. Can you tell me about what you did in your research project? The main goal of the project was to bioengineer a blood vessel using stem cells. Because heart attacks are the leading cause of death in both the US and the rest of the world, many scientists have tried to approach this problem from a bioengineering angle. However, blood vessels are really the root of the problem, so I decided that for this project, I would try to bioengineer blood vessels that could then be transplanted into individuals with myocardial infarction to deliver blood and stem cells to damaged portions of the heart. All of the plant cellular material was removed from spinach stems in a thorough decellularization process, leaving only their extracellular matrices that were used as fast and inexpensive bioscaffolds for the stem cells to grow on. A novel fibrin-based mechanism was also developed to adhere the cells to the scaffold. The technique that I developed in my project seems to be a promising solution that could permanently treat heart attacks. 3. Why did you choose spinach as a medium to grow on? Other than being accessible and inexpensive, spinach leaves have very large petioles (leafstalks) compared to other leaves that are easily available worldwide. Due to this large petiole size, spinach is the best candidate to become a scaffold for the stem cells to grow on because it most accurately resembles the size of our blood vessels. 4. What are some of the challenges that you faced when designing your methodology? One of the major challenges was finding the right decellularization technique to use on the spinach stems. A commonly used technique that had previously been proven to be effective on other plant species was adapted for this project, but an endless number of trials had to be run to find the right ratio of decellularizing solutions to get rid of all of the plant cellular material without disrupting the extracellular matrix. Adapting the known method of creating fibrin strands to best suit the purposes of this project was also tedious at times, but very rewarding in the end. 5. How do you think the findings of your project will be applied to real life therapeutic techniques? The low cost and international accessibility of spinach allows bioengineers all around the world to use the method developed in my study as a novel tissue regeneration technique. Fibrin also has an extensive potential as a cell delivery technique because of its natural adherence quality as well as its degradation in the cells’ waste products. This protein can be easily produced in vitro and it does not cause complications if transplanted into a patient because it degrades over time. This method can be easily adapted to various organs. By varying the type of decellularized plant and the kind of stem cells used, researchers can use this novel technique to bioengineer other organs throughout the body. 6. In a broad sense, what do you think biomedical engineering research, such as your own work, has to offer to the field of medicine? I think the future of the field of medicine lies in the hands of bioengineers today because the technologies that are currently available to researchers have such an abundance of applications, many of which have not even yet been thought of. All of the new discoveries and advances that are being made today, particularly in the fields of genetics and stem cell regeneration, will steer the field of medicine towards a more personalized discipline. They will improve the quality of screenings and overall care offered to individuals across the globe. 7. How do you think your research experiences will impact your career? Although I was previously interested in the field of cardiology, the technical aspects of this project helped me narrow down my career choices and decide to pursue a career as a cardiothoracic surgeon. Furthermore, this research opportunity allowed me to explore the overlap of various fields and realize my passion for surgery, as well as stem cell research. By combining my previous knowledge and newly learned skills, my experience working in the lab made me more excited about discovering the great unknowns of science every day. 8. Do you have any advice for other undergraduates who are looking to pursue research in bioengineering? I would recommend finding topics that you are interested in and then searching for researchers and labs that conduct research in that field. By applying to as many positions as possible in your desired field, you can ensure that you will earn a spot in a lab that you will enjoy working in. And once you begin your work in a lab, be sure to always be prepared and well-informed on the subject, but remain eager to learn more. Could Your Medicine and Personal Care Products be Polluting Waterways? Our staff and guest writers regularly post summaries of fascinating new medical research, developments in health policy, emerging questions in bio-ethics, and much more.